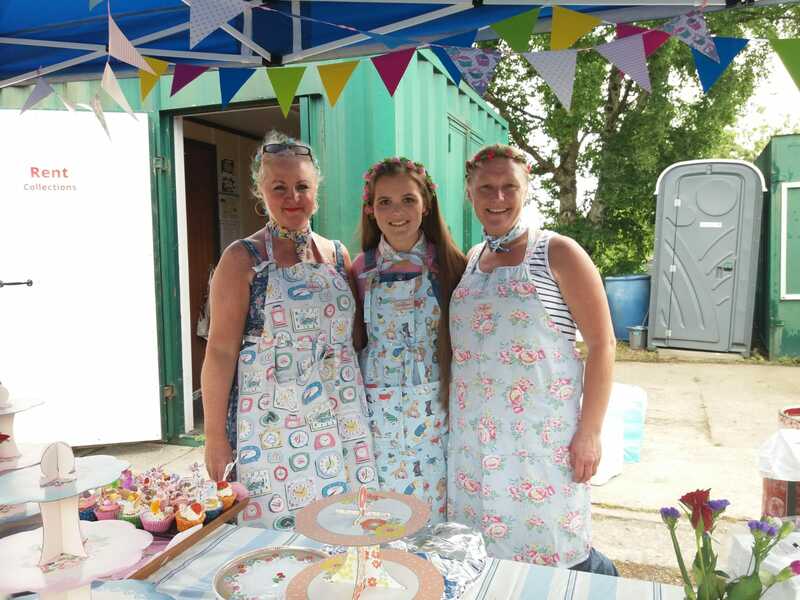 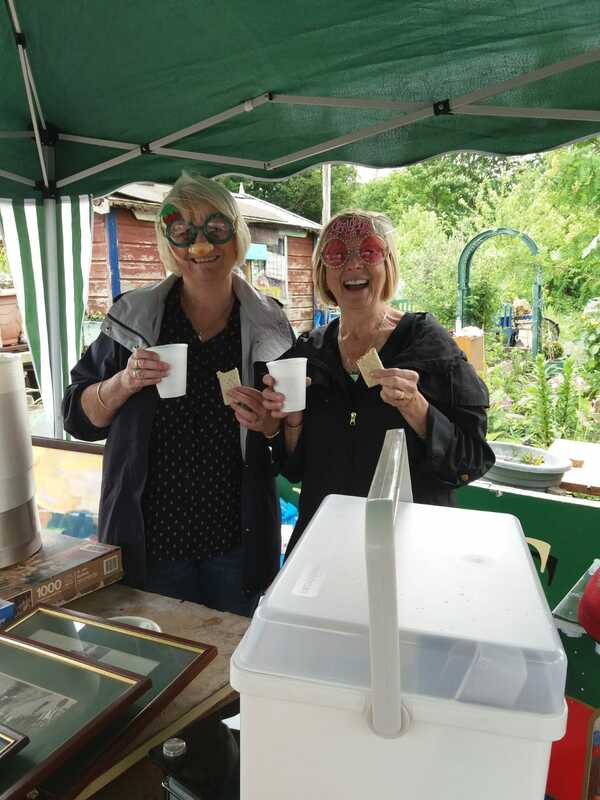 This year tradition was broken, we had sunshine at our May Open Day! 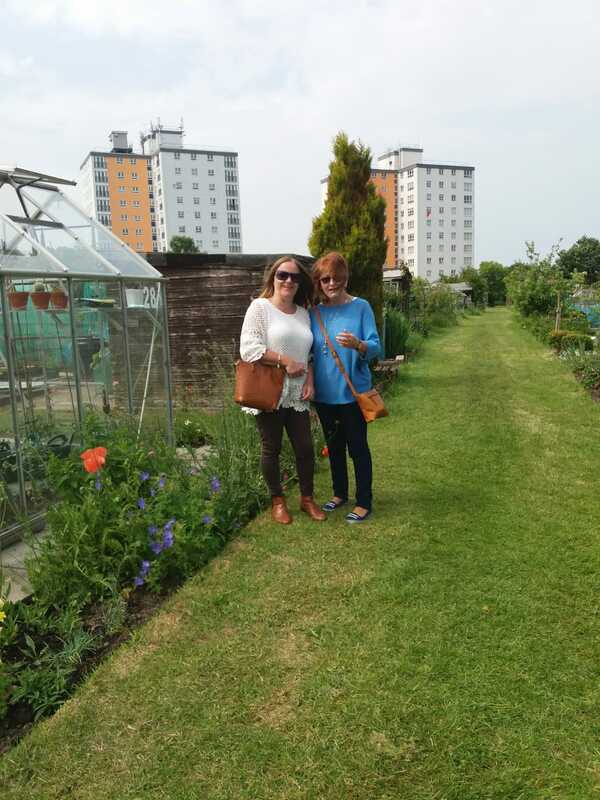 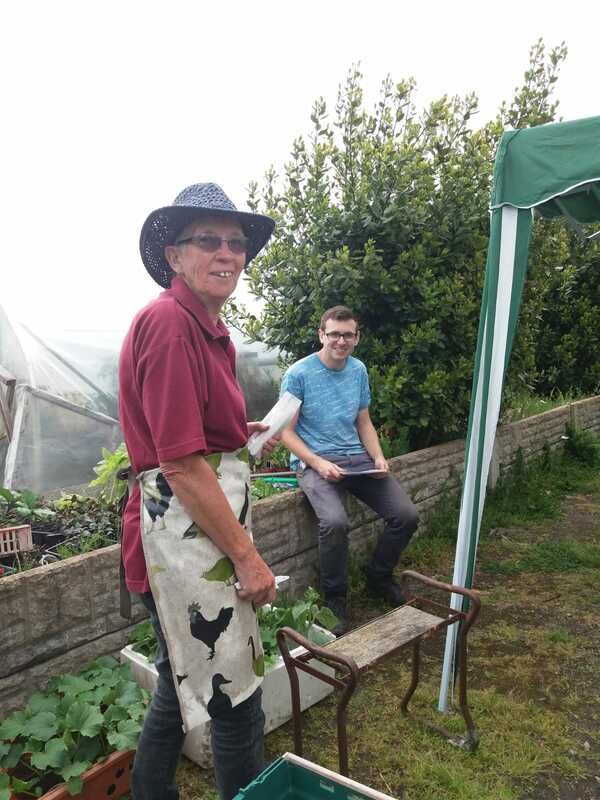 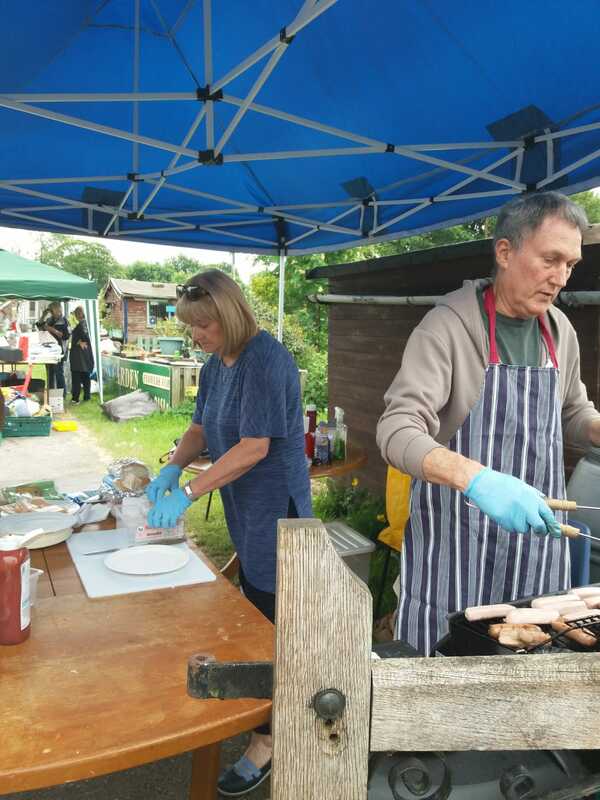 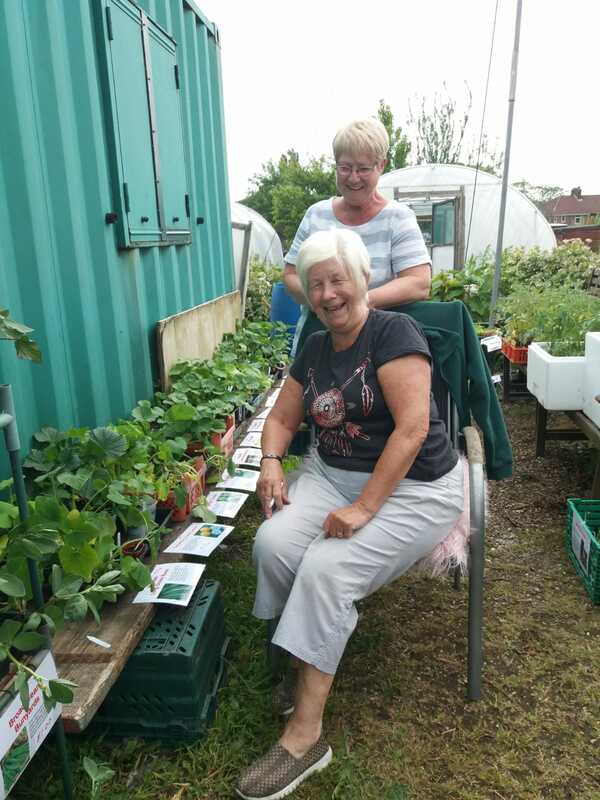 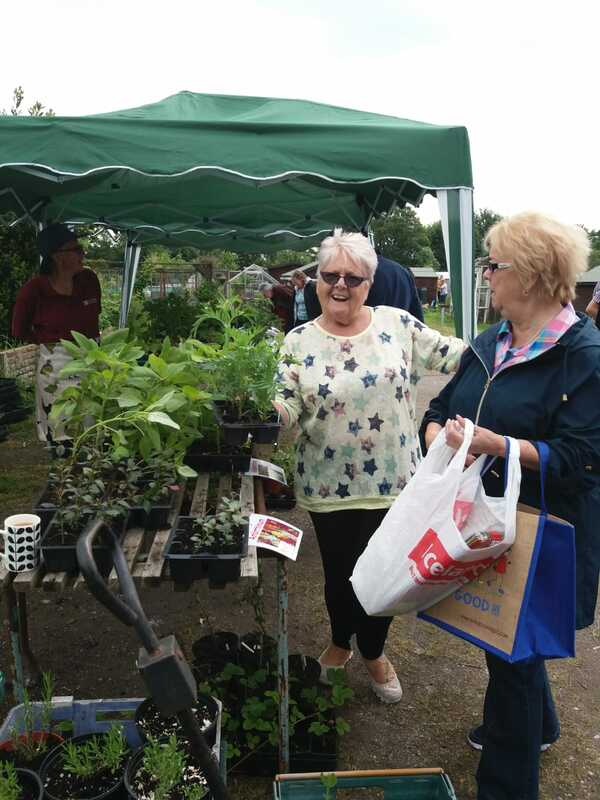 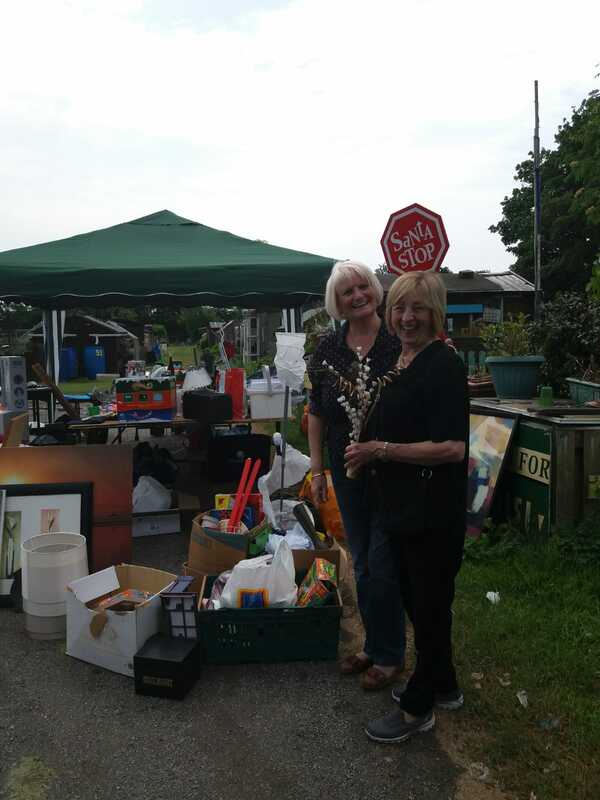 It was a successful sunny day, with lots of visitors buying plants,bric-a-brac, eating lovely homemade cakes and enjoying a burger from the barbecue. 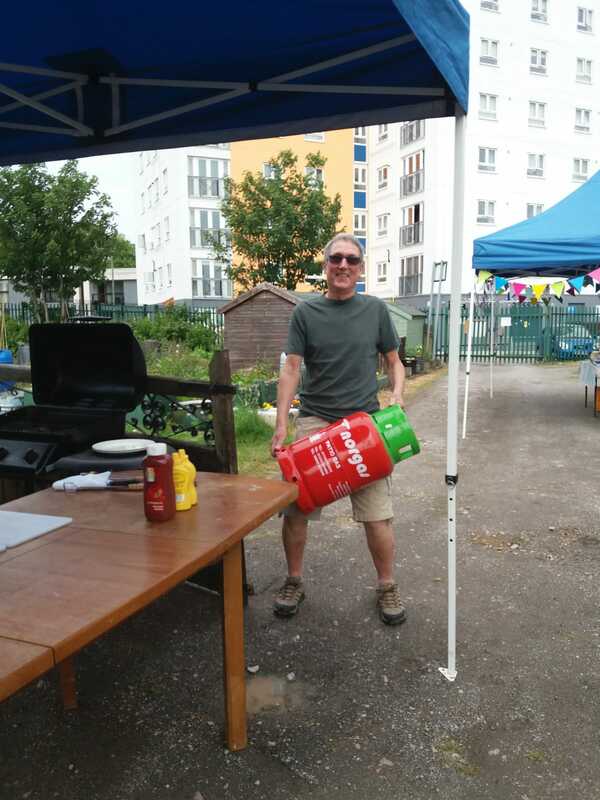 Thank you to everyone who helped. 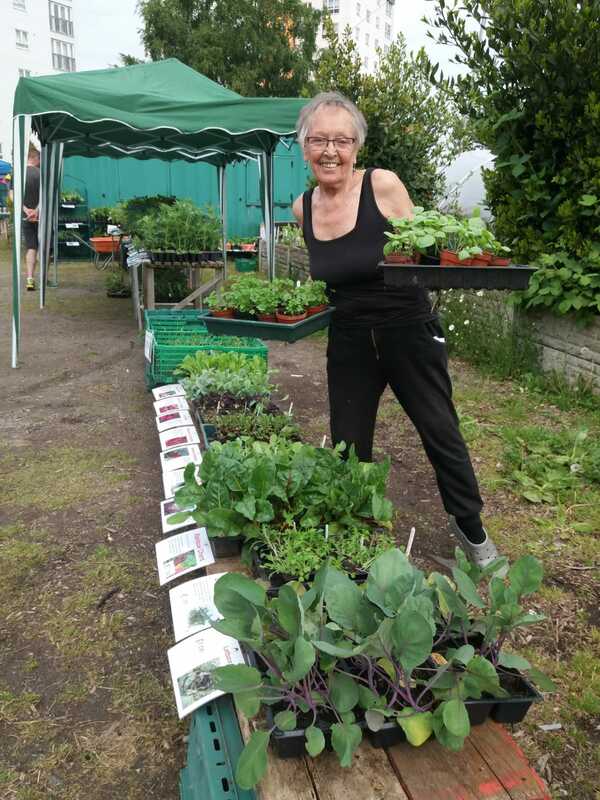 It would be great if more people could get involved in the future, all money raised goes to help the allotment site.